Summer is in full swing; backyard barbecues, trips to the beach, trips to the boardwalk, long lazy days with family and friends with lots of temptations meeting you at every turn. You have worked hard all winter and did a little spring cleaning to your diet. Now let’s not sabotage all of your hard work and follow two simple rules so you can still enjoy your summer. Rule number one: Always remember that you can’t out train a bad diet. Stick to your clean eating habits as much as possible. The produce section of your local super market is jam-packed with lots of healthy seasonal fruits and vegetables. Mother Nature has a way of providing exactly what the body needs to stay healthy in the summer. The summer provides the fish department with more fresh caught varieties of fish, crab, lobster and so many more. Continue to follow the rules of healthy eating by including lean protein, vegetables and a healthy fat in every meal. Even when you are away, you can make good food choices. If you are invited to a party, bring a healthy salad or side dish, one that you know you can enjoy guilt free. Introduce your family and friends to a healthier way to enjoy food. Remember to live life and the OCCASIONAL ice cream cone, fudgsicle or holiday treat is not going make a huge difference. If you do decide to indulge, keep the portion small and enjoy every last bite. The internal stress over your indulgence can be more detrimental than the indulgence itself because the release of the stress hormone cortisol will cause the body to hold onto fat especially on around your mid-section. Prepare yourself for these times and be ready to get back on track the next day. If you know you are attending a BBQ on Saturday, try and eat clean and healthy all week so you can enjoy Aunt Mary’s famous brownies and not feel guilty! Rule number two: Don’t miss a workout or training session. To keep the metabolic fires burning make sure to workout regularly. 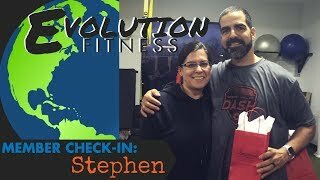 The “Century Workout Challenge” has started at Evolution Fitness. The challenge started on July 1st and ends on December 31st. Use this challenge to motivate you to get to the gym and finish out 2015 STRONG. With an average of 4 Evolution fitness workouts per week over the 26 week period you will achieve 100 workouts and finish the year stronger and healthier than ever. Every Evolution member that completes the challenge receives $50 on their Evolution Fitness account. If you are away from the gym or on vacation, take advantage of the warm summer weather, go for a swim, jog or walk, try kayaking or paddle boarding or a long hike. A body in motion will stay in motion. Create a constant calorie burn through physical activity and a regular eating schedule. Summer should be fun, full of adventure and a time to create lasting memories. Keep your goals in sight, follow these simple rules and you’ll enter fall a happier, healthier new you.